All call ducks originally come from Holland. Their original name was Dutch Decoys. The name Call originated in England because of the females loud quack. 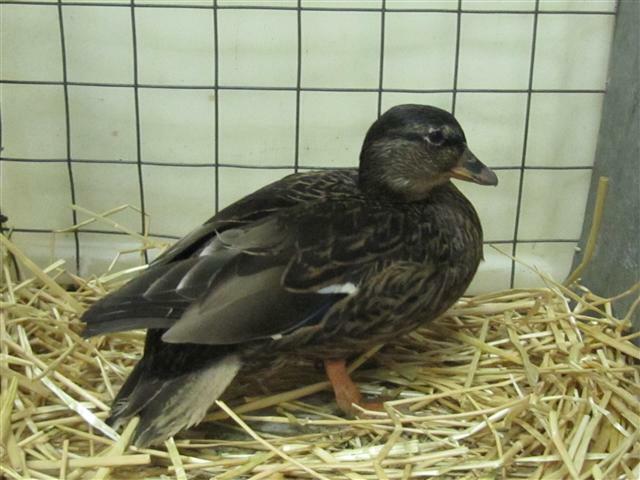 These little ducks were bred from the Mallard and the original colour was as in Mallard, but were called Brown or Grey. The white variety, which later became the most popular, were sports from the original colour. The breed was developed by wild fowl hunters who used to tie a cord to one leg and allow the little decoy to swim away. On spotting a flock of ducks the hunter would tug at the cord, which made the duck quack loudly usually bringing the flock closer to investigate and within gunshot. They were imported into England prior to 1851 and to America before 1883.